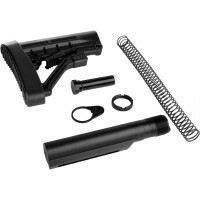 AR-10 308 10.5" Pistol Upper Receiver Assembly, Left Hand in black is DPMS low profile compatible. 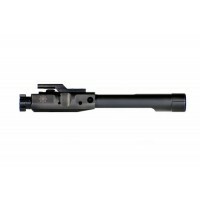 We can build these uppers to your desired specs.Features:Barrel - 10.5" .308 carbine length barrel, crafted to mil-spec standards from 4150 Chrome Moly Vanadium with a QPQ corrosion r..
AR-10 .308 COMPLETE LEFT HAND BOLT CARRIER GROUP - NITRIDECURRENT ETA: 2-4 weeks The .308 DPMS Style Left Hand Bolt Carrier Group provides improved function and operation via several key improvements. The expanded rear of the carrier allows for smooth cycling in the buffer tube. 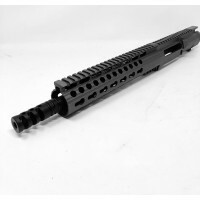 ..
AR-10 .308 DPMS LEFT HAND BILLET UPPER RECEIVER. Finally available and in stock, DPMS low profile (.150 Tang Gen2) left hand upper receiver for our left handed gun enthusiasts. 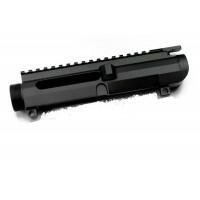 Current ETA 2-3 weeks.These upper receivers start with USA Milled 7075 Aerospace Alloy Aluminum, then saw cut to leng..